The assured, accomplished hand of Robert Jackson easily places him among our most important mid-career American Realist painters. 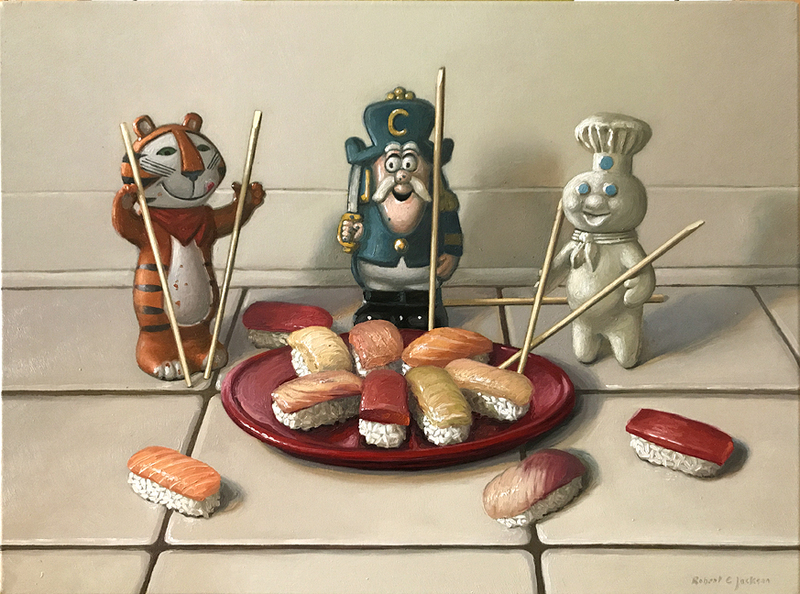 Although grounded in a technique that is near classical in its complex, meticulously rendered imagery, it is the subject matter itself, rife with giddy innuendo, that delights us with its irony. 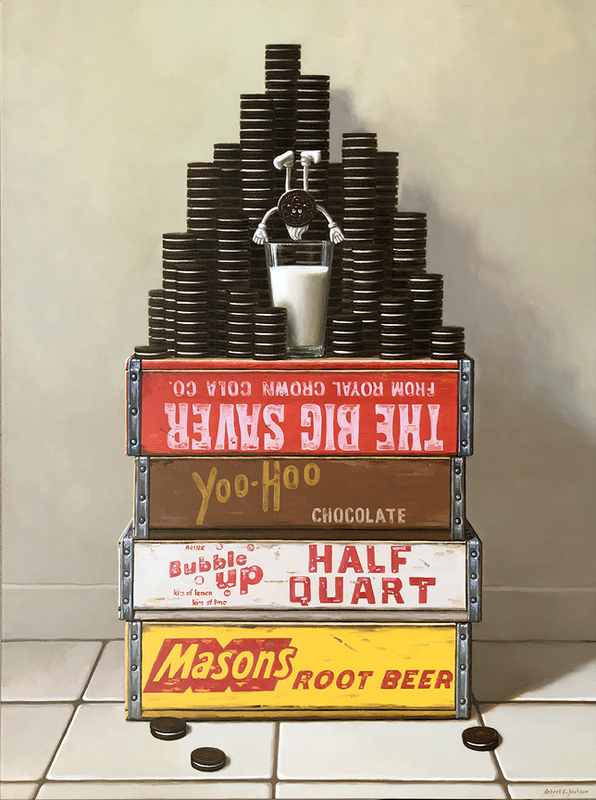 A wicked sense of the absurd, turns out colorful, whimsical, still-life's that both draw upon and subvert the American realist tradition.